Here is the full look at the 2017 winners of the Post-Gazette’s annual Top Workplaces survey. 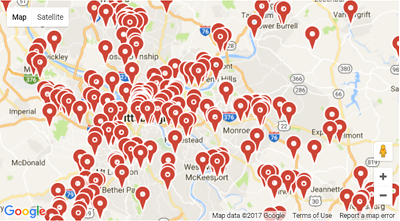 How did the Post-Gazette and WorkplaceDynamics determine the region’s top workplaces? Tech companies are changing the way they recruit to stand out in an over-saturated market. Federal data shows that job tenures for those aged 18-35 are comparable to ones for Gen Xers when they were the same age. With office kitchens come dirty dishes, fridge thieves and messes. There are ways to ensure this common area can be shared by everyone. To say most job applicants put salary high on their lists would be an understatement. Having training programs in place helps employees take on more responsibility more easily than going it alone. With the future of the Affordable Care Act uncertain, some businesses are waiting to see how it will affect their benefits packages. There are different ways for companies to create an environment where employees are productive, but can also bond and relax. While some companies drop work-from-home policies, some Pittsburgh firms are encouraging both flexibility and face-to-face work time. It’s not perks or “coolness” that makes the difference.